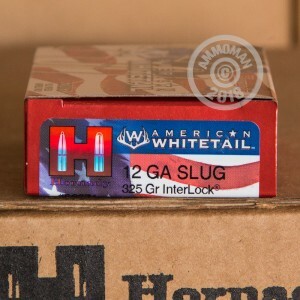 Grab a few of these 5-shell boxes of Hornady American Whitetail sabot slug ammo for your next deer hunt. Designed for rifled barrels, these shells fire a 325 grain Interlock serrated hollow point projectile at a high muzzle velocity of 1,825 feet per second. The saboted design ensures accuracy out to 200 yards and beyond, giving your shotgun considerable reach. 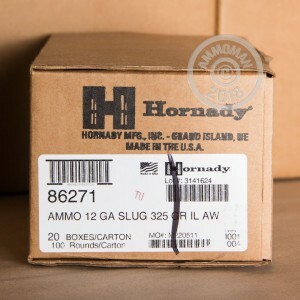 Hornady ammunition is one of the best buys on the market for those who care about accuracy and quality. 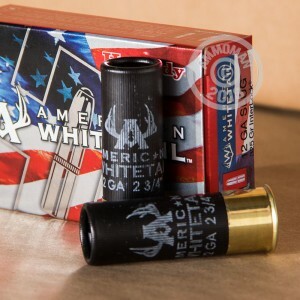 The company markets a wide variety of popular self-defense, match, and hunting cartridges and produces many components for other ammo loaders. Get all the ammo you need right here at AmmoMan.com--with free shipping for all orders over $99, we're helping thousands of shooting enthusiasts stock up at great prices.